Shoutout to all you bartenders out there. You’ve got a doozy of a job some days, and it can be wildly thankless and stressful, but your level of responsibility is no joke. Maybe you took your ABC class a while ago, maybe you’re enrolling in classes now or getting a license soon. Either way, the advice ahead is universal. You know the gig. When bartenders are on a shift, they can go 10 to 12 hours straight, sometimes without taking a break. Getting tired is a fact of the industry, but getting lazy is not. You’re the kings and queens who hold the keys to the castle from behind the bar and have an obligation to look out for the contentment, safety, and health of masses that flood you with incessant requests for service. The ultimate service industry balancing act. We have some simple mantras that’ll keep you keen back there. Some you may learn in ABC class, others are from years in the trenches, and you’re bound to come across some of your own as you go forward, but all of them are excellent to keep in mind and practice. Barring extreme circumstances, being aware of what’s going on in your bar will help you avoid issues before they actually become issues. The bartender on their phone can’t possibly serve people, let alone see if there are situations developing that require immediate or impending attention. Heads up, phones down, you’re vigilant; you surely don’t want to be in the position of not knowing what’s going on if something happens in your domain. The only thing that cures drunk is time. Not coffee, not food, not some ill-contrived internet hack or pill, just time. Awareness plays into this because you can’t know a patron’s intake level and consumption timeframe unless you’re paying attention whilst serving. Bartenders can get in a lot of trouble if they aren’t focused here. They’re at your bar, they’re asking you for beverages, not serving themselves. As much as it’s your responsibility to be aware of them, it’s your responsibility to be aware of yourself. Take care to not overserve and make sure everyone has a water in front of them, regardless of whether or not they drink it (it’s just good form). They’ll teach this in ABC class, but you won’t feel how difficult it is until you’re put in the position of being the enemy. There comes a point in every bartender’s career that they have to stop serving someone, ask someone to leave, or send them home. Naturally, 99% of the time, this doesn’t go over well with the person being given the boot. It’s not fun being the bad guy/girl in that instance, but we guarantee it’s for the best. You’re looking out for their safety, plus, in the end, they’ll end up returning and thanking you most times. Being the enemy from time to time saves the customer, the establishment, and you. Bartending is one of the most interesting jobs in existence. You cultivate your own social microcosm immersed in a rich tapestry of human interaction and exchange, just add alcohol. That can make things a bit more combustible, but that’s part of the fun. So long as safety, awareness, and responsibility are entering into your process behind the bar, you’re well on your way to making the best bar environment possible. Alcohol sales are some of the most prevalent in America. 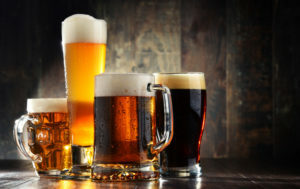 In fact, at least 24.3 million people have purchased beer in a nightclub or bar within the last 30 days alone. But if your establishment serves alcohol, it’s important to follow the proper ABC permit and licensing guidelines to a tee. Here’s a short guide for business owners in Tennessee to help build a better knowledge of just what needs to happen for proper TABC compliance. When an establishment sells alcoholic beverages, it is required by law to display a pregnancy warning. According to guidelines from the TABC, this warning must be posted “in a prominent place, easily seen by customers.” This is essential, as not having a sign posted can result in a fine of $25 per day. When a server is hired, they have exactly 61 days from the day they began serving to acquire an ABC permit. This means there is a small, two month window in which a server must take ABC classes and obtain a permit. Needless to say, it’s better to acquire this permit sooner rather than later. A server permit is good for five years, after which it will expire. Unfortunately, there’s no grace period between a permit’s expiration and when a server must apply for new documentation. This means a permit must be renewed before its expiration date! Every server working with alcoholic beverages should have a permit to do so. In addition, the establishment in which they work must have a copy of that permit for every server. That means as soon as a permit has been issued, a server should bring it to their place of employment so the appropriate copies can be created. Acquiring server permits is only half the battle. 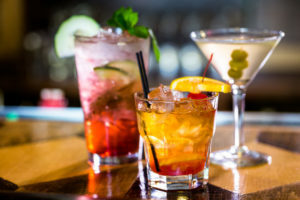 The rest involves keeping up to date on standards, restaurant requirements, and general knowledge about the serving and consuming of alcoholic beverages. Make sure you and your staff are adequately informed. Did you know that almost 43% of bartenders work in restaurants or similar eating establishments? That’s right, it’s not just bars employing staff members who serve alcohol. Whether you’re part of the restaurant industry or the bar industry, it’s crucial that your employees know how to properly serve alcohol. Here are a few practical things you should know. Don’t serve alcohol to an intoxicated customer. If a customer is visibly intoxicated when they order a drink, it’s time to cut them off. How do you know when someone has had too many? Monitoring. Checking in with customers periodically and making note of how many drinks they’ve already ordered is an important part of making sure your patrons are safe in your establishment. Don’t serve to the point of intoxication. 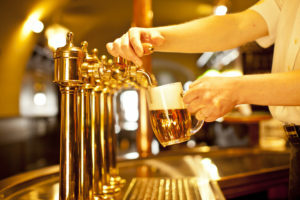 Any licensed bartender or server should know when to stop serving drinks. 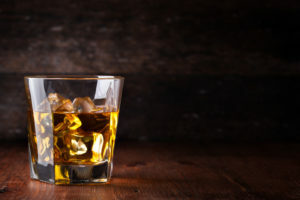 The signs of intoxication obviously arise on a highly individualized basis, but an experienced server should know the telltale signs of intoxication in their customers. Some common symptoms to look for are flushed skin, heightened aggression, and nausea or dizziness. Serving alcohol to anyone under the age of 21 is illegal. Even if someone appears over 21, it’s imperative to ask for the proper identification. If this isn’t standard practice, servers not only risk breaking the law, they risk losing their jobs as well. It’s absolutely crucial for servers to know how to properly check an ID to ensure nobody under the age of 21 is allowed to purchase or drink alcohol. If you want to make sure every server in your establishment is fully prepared and knowledgeable about the sale of alcoholic beverages, ABC classes are absolutely essential. In these classes, servers will learn all of the information above and more. Training typically culminates in the issuing of a license or permit which businesses can keep on record. If you have any questions about ABC training, don’t hesitate to contact our team at Aim to Serve. Learning to serve alcohol is only half the battle. After that, it’s a matter of making sure employees are upholding the procedures learned in their ABC classes. Don’t let your business go unprotected. Alcohol sales play a large financial role for many restaurants around the world, but there are several important steps they must take before serving alcohol becomes a reality. And one of the most important is corporate alcohol training classes for employees. Here are just a few of the many reasons your food establishment should be investing in these classes. Keeping tabs on servers’ alcohol training is one of the most important tasks a restaurant owner or manager has to perform. 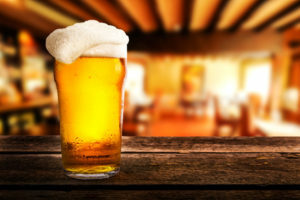 If a training certificate is out of date or an employee hasn’t been properly trained for alcohol serving yet, it can pose serious consequences not just for that server, but for the business as a whole. Investing in regular ABC permit training can ensure this never happens at your establishment. Most states require workers who serve alcoholic beverages to be a minimum of 18 years old, but every state requires people who purchase alcoholic beverages to be over 21. One of the most important reasons to invest in ABC licenses is a secure knowledge of how to check for ID and when to check for it. Servers may be aware of general guidelines, but not knowing specifics could make or break a career, the restaurant’s reputation, and most importantly, the law. It’s absolutely essential for servers to know the law when it comes to identifying minors in an establishment that serves alcohol. Another important aspect of corporate alcohol training is knowing when a person is too intoxicated, even if the signs aren’t obvious at first. Many national restaurant chains have incorporated this into their standard training. These establishments require all front-of-house employees to receive alcohol training because greeters and hostesses often serve as the first line of defense against dangerously drunken diners. If someone enters the restaurant and orders one drink too many, all managers are trained to handle the situation. Unfortunately, the maxim “The customer is always right” doesn’t always apply, especially when the customer in question is clearly intoxicated. These are just a few of the reasons that it’s so important to practice vigilance about alcohol training. Make sure your business takes just as much care to receive the proper training. Failure to do so could result in harm to your business, your employees, and expensive fines. Whether you’re a business owner or a bartender, it’s essential to have ABC permits before you can serve alcohol in any establishment. And with 65,116 bars, taverns, and nightclubs in the U.S., that’s a lot of permits. That being said, it’s also important to ask questions if you have any. Fortunately, we’re here to answer some of the most frequently asked ABC permit questions for you. Keep reading to find the answers you’ve been looking for. What is an ABC card? An ABC card, or a server permit, is documentation that proves you’ve been properly trained and certified to serve alcohol within a given location. This licensing is required in most states by law and requires a five-hour class to obtain. The class will teach you everything you need to know as a server to safely serve alcohol to patrons. You’ll learn things such as alcohol awareness, proper techniques for carding, and intervention practices. What is the ABC class like? If you want to compare it to something, it’s perhaps easiest to compare an ABC class to a five-hour defensive driving course that is required before someone is given their driver’s license. The class covers a multitude of safety techniques and alerts students to potential hazards they may not have been aware of before. What happens if I misplace my ABC card? If you misplace your ABC card, it’s important that you get another one as soon as possible. Numerous people think that the original copy of an ABC card is their employer’s property and not their own, but quite the opposite is true. Replacing the card is on you, and you should contact a local TABC office if that’s the case. How do I pay for an ABC permit? Most ABC classes don’t accept personal checks. Instead, you should rely on cash or company checks to pay for the training, as it’s a company requirement for you to have the proper ABC license. In addition, some ABC classes do accept major credit cards. ABC permits are extremely important for any server working in an establishment that serves alcoholic beverages to patrons. Not only will an ABC class teach you how to properly serve alcohol, it will ensure you know the proper safety measures to take while doing so. Restaurants and bars continue to increase in popularity among Americans. In 2016 alone, the National Restaurant Association estimated that combined food and drink sales in U.S. establishments would reach a whopping $19.9 billion, with this number to only increase as time goes on. Knowing this, obtaining an ABC permit, which enables you to serve alcohol at your cafe or restaurant, may be a highly profitable decision for your business. Currently, 43 percent of all bartenders work in a restaurant; however, it’s likely that this number will increase given current trend. The best way to ready your establishment is through one of these permits. When applying for your ABC license, it’s essential to be as accurate and correct as possible. Even one misplaced letter or misspelled name can jeopardize your application. Double- or even triple-check all spellings and numbers on your application before turning it in to ABC. It’s a huge time saver to turn in just one application with no do-overs. Have I included all parts of my establishment? It’s one of the most common mistakes people make while filling out applications for ABC permits and licenses. They’ll fail to include their restaurant’s patio or sidewalk seating area when describing their establishment — and, as a result, they won’t be permitted to serve alcohol in these parts of the restaurant. To make sure this doesn’t happen to you, be sure to note all areas of your establishment where customers will be seated. Also make sure to provide a barrier around any outdoor seating you may have, as this will prevent non-patrons from entering these areas. Have I looked at the special conditions? Like any license, ABC permits are almost always subject to certain special terms and conditions that you should be aware of. However, these conditions aren’t found on the license itself; you’ll usually have to look them up online. Certain restrictions in your city or state might impact the way your establishment is allowed to serve alcohol, so make sure you know about them before you obtain your permit and begin serving alcohol to your customers. For more information about obtaining an ABC license for your restaurant or cafe, feel free to contact us.